Ultra thin, modern, portable computer (laptop) shot from the front. 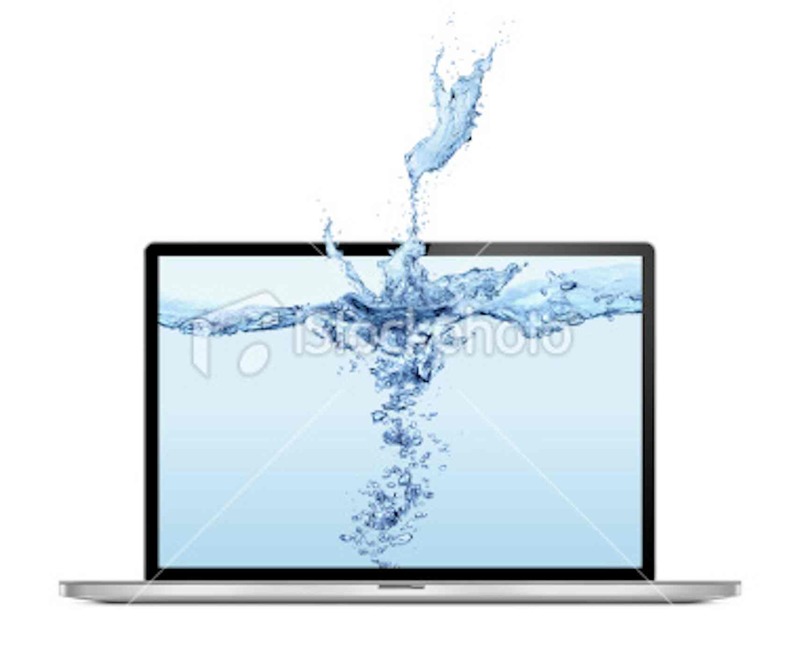 Water flowing out of a computer screen. Isolated on white background.